Multi-platinum selling, chart-topper JASON DERULO has today been announced as the latest act to take on the Isle of MTV Malta stage at this year’s summer bash. A partnership between MTV and the Malta Tourism Authority, the free live music event, now in its ninth consecutive year, will return to Il-Fosos Square, Malta on Tuesday 7 July 2015. Derulo first made the world take notice when he broke onto the scene with his killer debut single ‘Whatcha Say’, which sold over five million digital downloads in the US alone. Boasting a total of 1.8 billion views on YouTube, 45 million worldwide record sales, 27 million social media followers, and three huge albums - Derulo continues to churn out hit singles. With his fourth studio album due for release next month, 2015 is already adding to his massive success story. It’s lead single ‘Want To Want Me’ has already amassed almost 23 million YouTube hits, became the biggest Top 40 radio launch ever in the United States and Derulo himself made headlines by being the first artist ever to launch a video on the dating app Tinder. Entitled ‘Everything is 4’, the album is available to preorder on iTunes now. 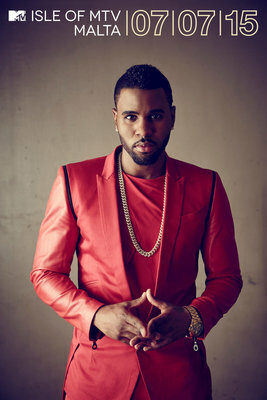 Derulo continues to break records and endorse his status as one of the world’s most successful artists having received countless awards and nominations, including five BMI Pop Music Awards. 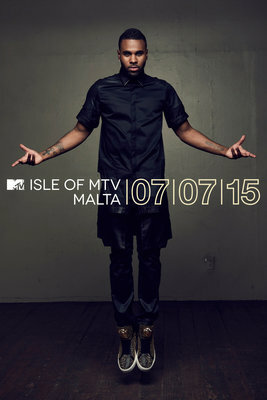 Derulo commented: "MTV has always played an important role in my career, and the Isle of MTV Malta is a great continuation of our partnership." Discovered at the age of 16 having already penned songs for the likes of Pitbull and Diddy, Jason ‘Derulo’ Desrouleaux was signed to Warner Bros. Records. In 2009 he topped the Billboard charts with his debut single ‘Whatcha Say’ – catching on internationally the track rose to Top Ten positions in multiple territories including Canada, Australia and the UK. His debut self-titled album followed in 2010, achieving international chart success. Derulo’s second studio album, ‘Future History’ was released in 2011, followed by his third international album ‘Tattoos’ in 2013. All paved the way for what would be his most successful album to date - his third U.S album ‘Talk Dirty’ was released in Spring of 2014, spawning five platinum singles, collectively selling 16 million units worldwide, propelling Jason into an elite category of artists whom are able to boast such an accomplishment. In five short years Jason has racked up 10 platinum singles, 1 billion plays on Spotify and a radio audience of 17 million. And it’s not just for his performance on the stage and screen that Derulo has received adoration and recognition. In 2011 he was awarded Songwriter of the Year at the BMI Pop Music Awards - Jason is as well known in the industry for his ability to write hit singles as he is for performing them.